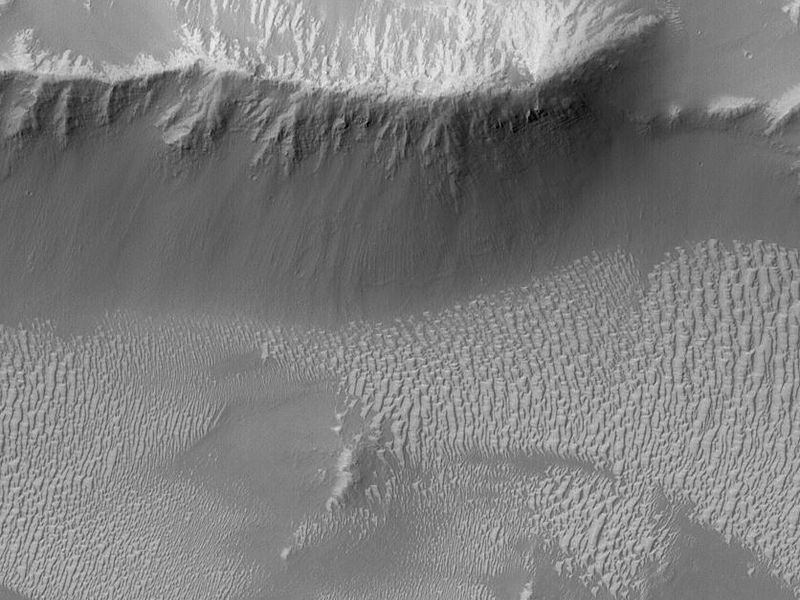 This Mars Global Surveyor (MGS) Mars Orbiter Camera (MOC) image shows light-toned, ripple-like, windblown bedforms and ridges with dark talus accumulations on their slopes in the western portion of the vast Valles Marineris trough system. 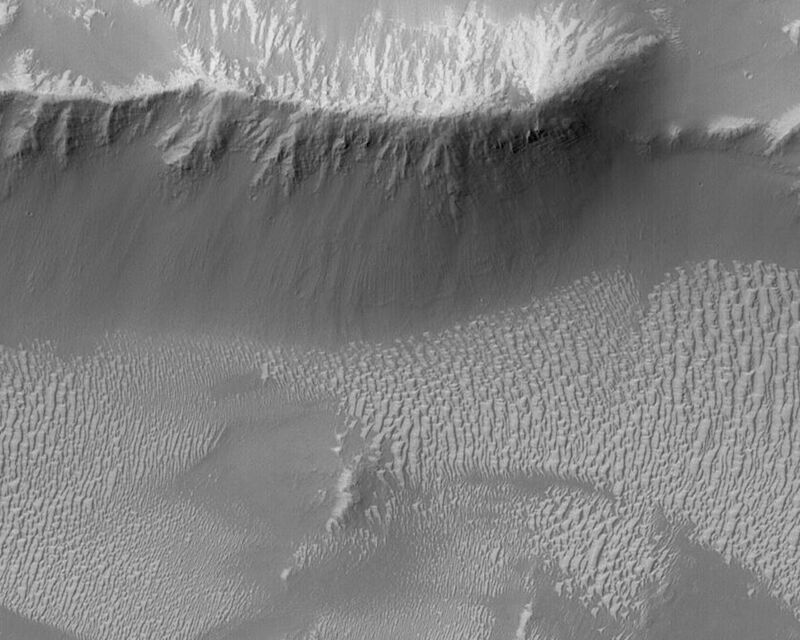 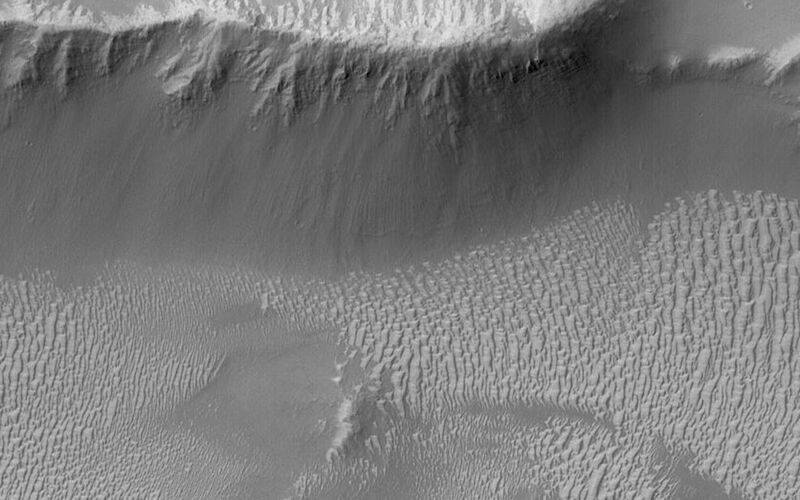 These features are located near Oudemans Crater around 7.6°S, 91.2°W. 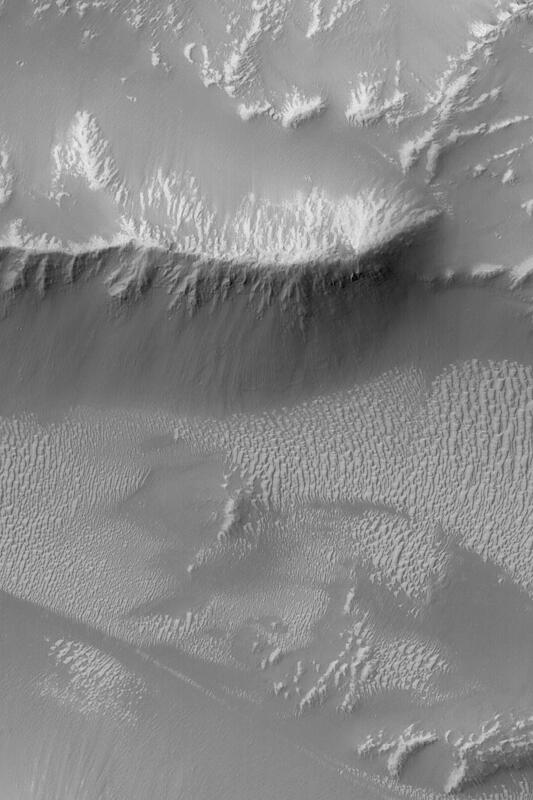 The image covers an area about 3 km (1.9 mi) wide and sunlight illuminates the scene from the upper left.